I know everyone is focused on March Madness right now, but opening day for Baseball season is right around the corner. 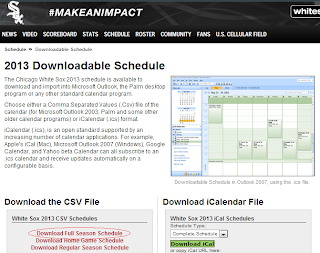 I wondered if it were possible to enable and disable specific ads based on the schedules of your local MLB team. The link you need is circled in the image above. You can see from the url what the team_id value should be in the code below. 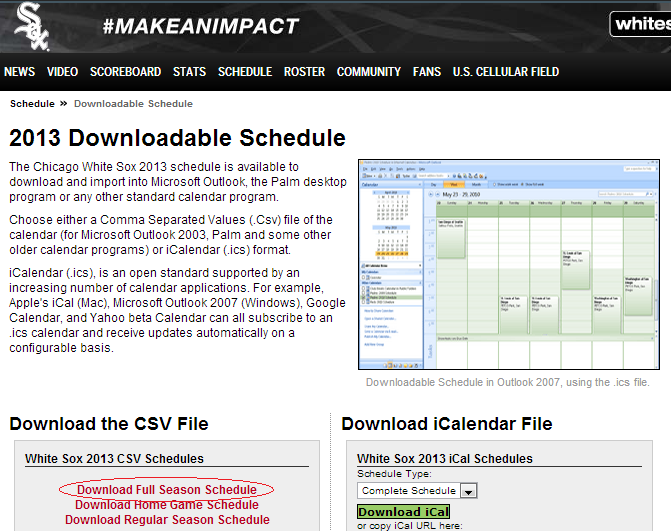 And if you right-click and download that .csv file, you will be able to see what value to use for the home_field as well. In the example below, I used my hometown teams of the Cubs and the White Sox, but you can use any teams you want. The script itself will run through and look for a home game for your team. If the team is playing today and it is a home game, it will enable any ads that are tagged with the label you configured in the TEAM_INFO. If the team isn't playing a home game today, it will pause those same ads. In the example below, I only used a portion of the data in the csv files. It would also be possible to enable ads only during the actual game, or enable ads for all game days, not just home games. I encourage you to play around with the data and see what you can come up with. If you find anything useful, please leave a comment. first of all : Great Blog , I love it ! Now the big question :D - there is away to drill down conversions segmented by location including the new bidding adjustment in a enhanced campaing ? Good question Fabio. Right now, i don't think the adwords conversion reporting provides that level of drill down. Your best bet might be to create some hyper targeted campaigns with the locations you are interested in. Assuming you have conversion tracking enabled, you can put together a script that iterates through your location targeted campaigns and reports on the conversions from them. Enhanced campaign support in adwords scripts is almost non-existent. It has been asked for on the forums so I would expect it to come around the time of the forced cut-off date this summer. Thanks for reading my blog. If you have any suggestions for scripts you'd like to see, drop me a line through my google profile or twitter.